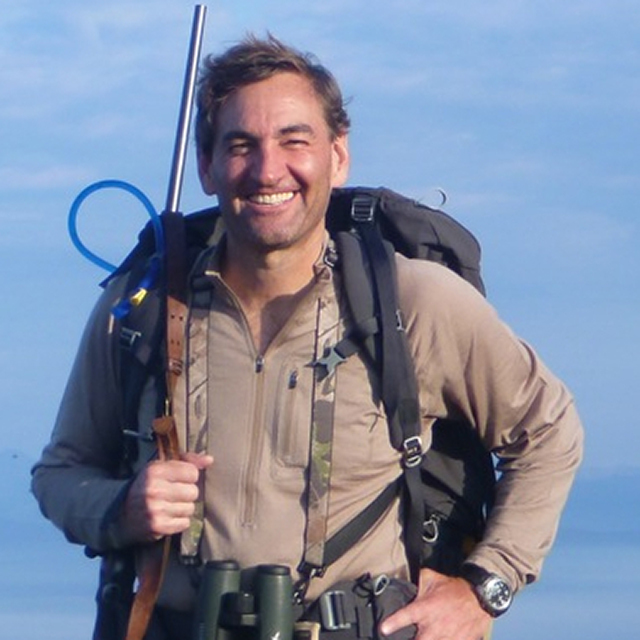 Simon Roosevelt, New York, NY, is an avid hunter and conservationist whose interests have involved him in a wide variety of conservation and environmental projects in North America, South America and Africa. In the United States, he is the founder of the Conservation Roundtable, a periodic gathering of the heads of leading conservation organizations representing hunters and anglers, land trusts, and environmentalists, to discuss and take action on shared conservation issues. Previously, he organized the Catalyst Dinner, a conference in New York City bringing together world leaders in climate change policy and science with a group of the largest US hedge fund managers. He also was a co-founder of the Friends of the Elkhorn Ranch, a private initiative that successfully organized the purchase and transfer of the last remaining parcel of unprotected private land ranched by Theodore Roosevelt in the Badlands of North Dakota to the US Forest Service’s Dakota Prairie Grasslands, where it remains in active grazing use. Currently, he is at work on a book portraying the connection between American Hunting and Conservation. Intended primarily for those who are not hunters, this book will be a tribute to American hunting, presenting the tradition, conservation legacy and crucial ongoing role of hunting in American conservation. With colleague Allison Whipple Rockefeller, Simon began American Conservation Projects, to create and pursue ideas that advance the American values of history, landscape and citizenship. Among their projects is an effort to add, for the first time, study information and a question about citizen ownership of US national parks and public lands on the U.S. Naturalization Test. Simon is a a member of the Boone & Crockett Club, America’s first private wildlife conservation club, and the Camp Fire Club of America; he is a member of the President’s Advisory Council of the National Wildlife Federation; and he is a Board Chair of the Scenic Hudson Land Trust and trustee of Scenic Hudson, Inc. He also is Commissioner of the New York State Office of Parks, Recreation and Historic Preservation for the New York City Region.